You want great vanilla? Go Tonga Stronga! Heilala Vanilla is one of Tonga’s greatest exports. It has the muscle of a good, strong vanilla extract with the delicacy of a flavor flower. A must for anyone who bakes or uses vanilla in any application! 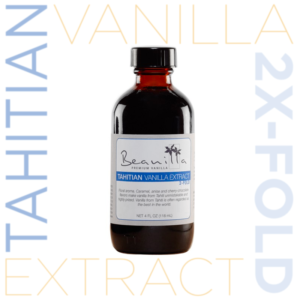 I’ve been using Heilala’s toweringly Tongan vanilla extract for about ten years now. It’s a premium vanilla from hand-selected vanilla beans that uses a cold extraction, slow percolation method. It takes three months to gently bring out the delicacy of the vanilla beans. They produce a strong, yet sweet, creamy and complex vanilla. Heilala was launched by another Ross family, not ours, in Tonga to bring a viable export to the Tongan economy. Twelve years later, Heilala is not only one of the largest exporters in Tonga, they’ve become one of the major players in top-shelf vanilla products around the world, selling in New Zealand, Australia, Singapore, Japan, Brazil, Denmark and the United States. The vanilla has changed a bit over the years. 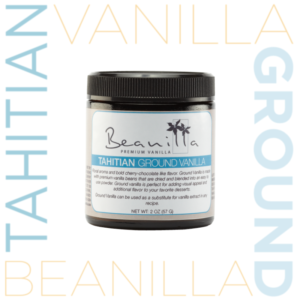 Demand is outstripping their ability to grow enough vanilla in Tonga. They’ve already employed and partnered with all of the Tongan growers. They have been buying beans from Madagascar that profile similarly to the Tongan ones, and they’re launching new farms in the Cook Islands. The upshot is that their vanilla has changed a bit, but mostly in subtle notes that would not be noticed had you not been a fan of their products when they were smaller. It’s still top-shelf stuff, and you want it in your pantry. Heilala adds no sugar, chemicals, synthetic or imitation flavours. The muscle is that one teaspoon of Heilala Vanilla Extract is equivalent to one vanilla bean. The flower is in the aroma, and the way that it gently lulls your palette into happiness! 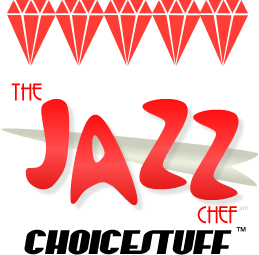 It gets a big, enthusiastic five-diamond Choicestuff nod from me!